It’s been a very busy month! I have been working on my novel with my lovely editor at Grimbold Books, Zoe Harris, so I’ve been a little bit slow on the reading front this month. However, I have a few books under my belt and although this one is short and sweet (also blame the very fine Irish weather for once), I will continue the reviews as normal! Plot – After nine years on the road, driving instructor Chas Fenn knows how to avoid accidental death – it’s the intentional kind that gives him trouble. The intentional kind is the seductive Brittany Reis who plans to carve a niche in the street drug trade with a new hallucinogen. When her lab technician suddenly dies, Reis is forced to partner with an aging con man who sees the opportunity as a last chance for a big payoff. There is dishonour among thieves, and the formula is misdirected to Fenn who’s main ambitions are to win at darts, and get a raise. And maybe get laid. Now, with Reis and her thugs hot on his tail, Fenn’s life takes a dangerous detour where the normal rules no longer apply. In the background are Detective Inspector Evan Lareault, Sergeant Frank Bloomfield, and Coroner Dr. Dennis Collier. Their investigations of a fatal overdose, two homicides, and a fraudulent funeral home appear unrelated until Fenn discovers a family connection to the formula, and turns from hunted to hunter. Review – Torque starts as it means to go on by being fast paced and action packed. The beginning of the story opens with the anonymous characters playing out a scene, where one is selling a new street drug to some young men. The intriguing beginning ends in a death, but it opens up the tale for a myriad of other characters and plots. The main character, Chas Fenn, is quite the innocent bystander, but quickly becomes embroiled in the story when his father sends him an important and dangerous package. Fenn’s resourceful, clever and completely likeable and despite his father being a con-man, he is only tainted by the association for the package that was sent to him. He is the man who can do what the cops seem to be failing to do, find links between the many plots and he gives the bad guys a hell of a time! There are a host of interesting deaths, action scenes, car chases, humour and characters that make this an entertaining read – the mysterious Brittany Reis, whose hairclip I wouldn’t won’t to be accidently poked with, Fenn’s tongue-in-cheek friends and a load of good and bad guys. The story keeps its dramatic pace throughout and the twists and turns never stop. Even when you reach the end, there are still surprises to be had. A highly recommended read, thoroughly entertaining and very worthy of its rating. Rating – A horse-powered 4 out of 5 stars. Plot – Ryana, a worthless girl-child, is sold to a mysterious woman who takes her to the home of the Shadow Sisters who are prized for their abilities as spies and assassins. She survives years of training in spite of being unconventional: adopting poisonous bats as familiars–something no one else would dare to do; choosing the blow dart as her weapon of choice–a weapon the Sisters don’t teach; and relying on intuition rather than logic. As she completes her training, the Shadow Sisters are under attack. The senior Sister selects Ryana to find out who is killing Sisters and why–because her intuitive approach has proved effective, even though her youth and inexperience makes it unlikely she will survive. As she travels through the kingdom as a member of a gypsy clan, she finds the only way she can protect the Sisters and hope to discover the underlying plot is through ever more violence and killing. As she proceeds through the provinces, her secret enemies come to call her the Sister of Death and become desperate to find and kill her. But in her fight to protect the Sisterhood and the kingdom, Ryana fears that she has destroyed herself and the only life she ever wanted. Review – The Shadow Ryana is the first book I’ve read from the writing duo and I have to say, I really enjoyed it! 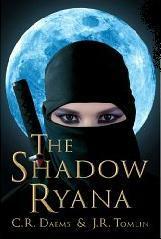 The story goes through, briefly, Ryana’s childhood and her training to become a shadow sister and spy/assassin. From early on, the reader understands she is different because instead of using cold logic, she uses intuition as her strength. There are a lot of great points about this book, the pacing, imagination and unique world are very well etched. I thought having bats as familiar was a stroke of genius, because it wasn’t the usual cat or dog familiar. My only gripe is at times, I felt like the action, especially the fights with the magicians were a little repetitive. Overall though, I liked the story, the mystery involved in her search to find who is killing her sister shadows, and the MC’s contrasting surety in her abilities and her growing sense of being lost because of all the killing she has to do. Very worth reading. Will take a look at the second in the series. Rating – A sneaky 3.5 (leaning to 4) stars out of 5. This Cinderella story for adults, set in an unnamed world, has no fairy godmother and no handsome prince, just a girl of spirit and her strange companion. Review – The story sounded intriguing when I read the blurb and I have to admit I was fairly intrigued for a good chunk of the story. Zoe Brooks Anya’s story is poetic and poignant to begin with and as a reader I was sympathetic for her MC, whose tragic beginnings are nothing but cruel. I found the idea of her friend Eva interesting – her Shadow as she is known, is not quite human and doesn’t have the same emotions as humans, and she acts a lot like a maid. So I’m not sure exactly what she is, but as a character, you warm to her. A lot of the time these Shadows are misunderstood in the world Brooks has created. I found the world a strange one. 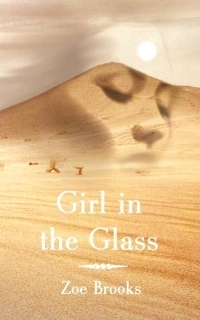 It begins in a desert like realm, but then moves onto a city after Anya and Eva run away from the abusive household. The city felt too much like what we live in today and with the MC changing her identity – I lost a lot of compassion and patience for the stupid mistakes she makes over and over again. I found myself more sympathetic towards Eva than Anya in the end, though I’m not entirely sure if that was the author’s intentions. There is a second book in the series, and having thought over how I feel about the first one, I’m still not sure how to proceed. Rating – 2.5 frustrated stars. Last week, I was interviewed by Glenn Muller of Uncorked Ink. We talk about my forthcoming book, living in Ireland and inspiration. Have a gander! 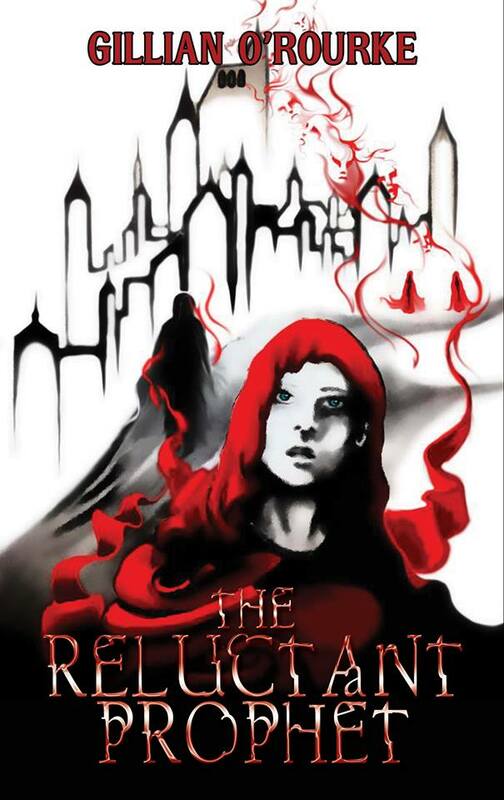 On the cutting edge without even trying, this week Uncorked Ink talks to Gillian O’Rourke whose fantasy novel, The Reluctant Prophet, is about to be published by Kristell Ink. UI: Welcome Gilly. Having a novel on the cusp of release is exciting. When did the journey start, and was there a turning point when you knew you had a book worth reading? GO’R: Hello Uncorked Ink! Firstly, thanks for having me! The journey with The Reluctant Prophet, started some five years ago, when my main character, Esther, came to mind and although I had no idea where the journey was going to take me I started writing her story. I never actually believed I had a book worth reading – it was just a story with characters that I loved writing about, and it was something I was keeping to myself! It’s an exciting time when you start talking about ideas for the cover of your book. And for me, being so fortunate that I had some say in it. The delightful Sammy HK Smith of Kristell Ink, seemed to be in a similar vein of thinking when we were discussing the same for my forthcoming novel, The Reluctant Prophet. The ideas were brought to the lovely Evelinn Enoksen, an artist and author in her own right. The very talented Evelinn came back with the amazing piece of artwork shown below. Ken Dawson, another creative genius, came up with the idea for the fonts. With that short and sweet introduction, I am very excited and happy to share with you the cover for The Reluctant Prophet! 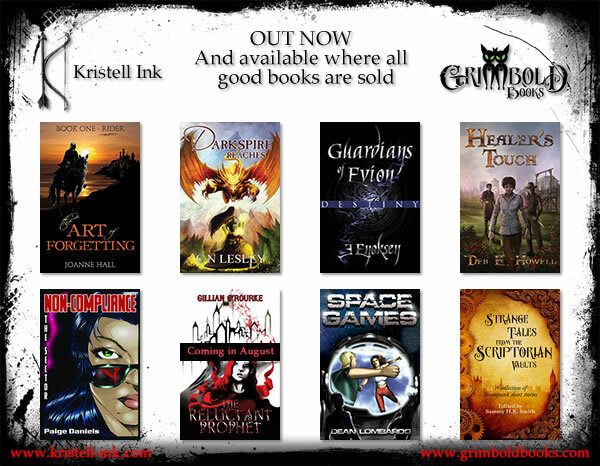 These are the other fab covers for the fab authors of Kristell Ink. We make a pretty bunch, don’t we?